Concrete core drilling is one of the three main forms of concrete cutting. 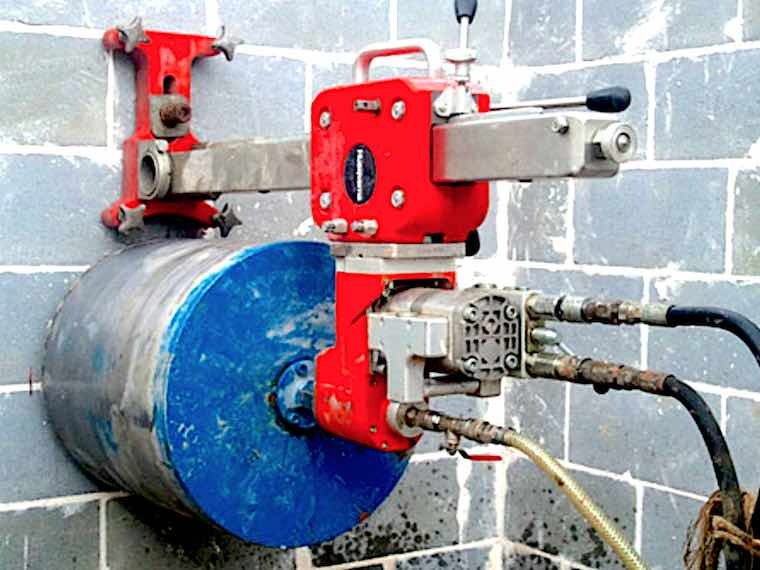 It comprises an electric, or sometimes hydraulic, drill and uses a diamond tipped drill bit to penetrate concrete, stone, brick or other masonry up to several metres. In this article, we explore when a core drill is required, and what its benefits are over other methods? The most common application of core drilling is to make way for electrical, plumbing and air-conditioner piping and conduit through concrete walls or floors. While the of drilling a single hole seems simple, drilling to the right width and being able to drill through various depths accurately often requires special equipment. 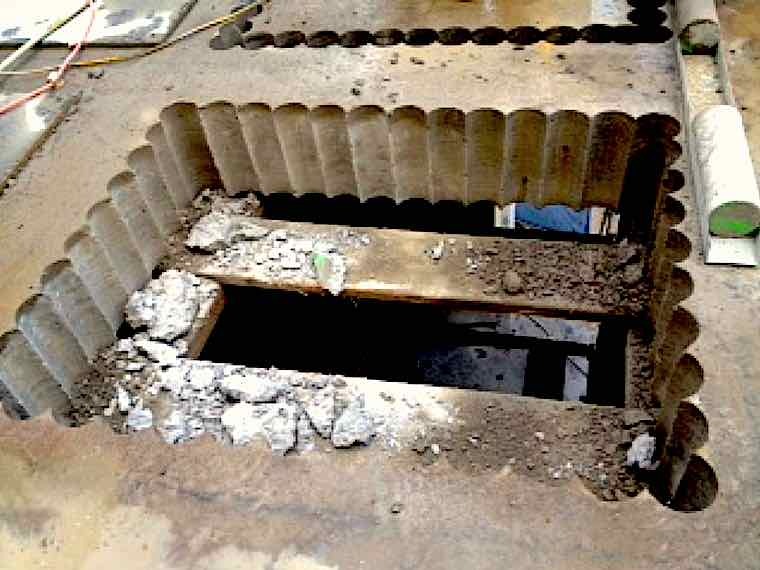 Also, the use of super tough diamond-tipped saws will mean there is no trouble when it comes to penetrating through the concrete re-enforcing mesh. A large core drill used to penetrate a concrete cinder block wall. 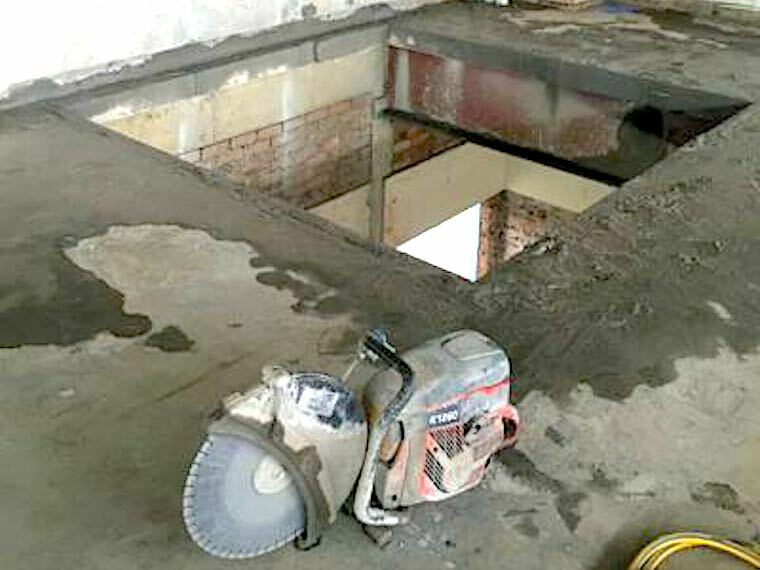 In hard to access corners of a building, a concrete saw can often have difficulty getting access. To remove a large section of concrete in such areas a core drill can be used through a process known as stitch drilling. Stitch drilling involves drilling many overlapping holes until the required section of concrete is removed. Stitch drilling can also be used as shown below when the concrete is too thick for a concrete saw to penetrate. Usually, depths of 700mm and over require stitch drilling. A demonstration of Stitch drilling using overlapping drill holes to remove a thick section of concrete. 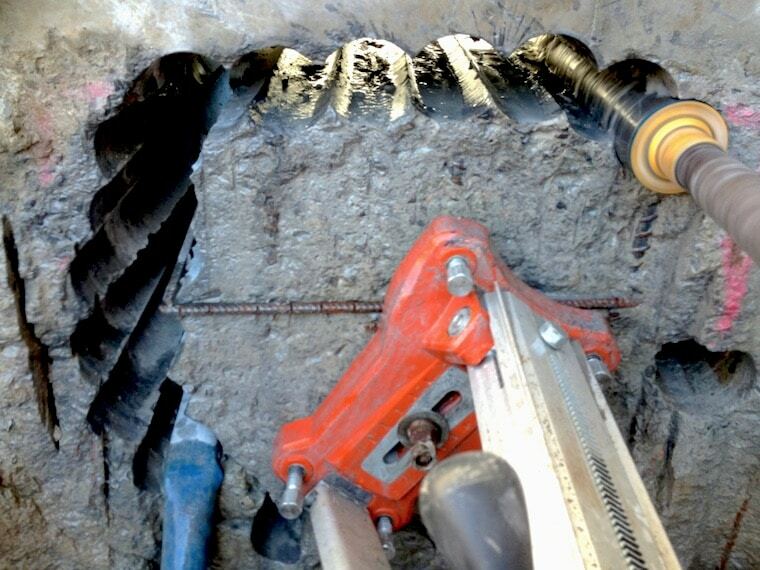 Core drilling replaces conventional concrete sawing when the overcutting of corners cannot be made either for structural or aesthetic reasons. The drilling of core holes in the corners of the concrete section to be removed means not having to pass a saw blade beyond the margin of the corner and making a cleaner, more precise cut. The overcutting of corners on this slab would cause structural instability with the adjoining areas so a stitch drill has been used. In these ways, core drilling is the go-to method for gaining access through a concrete structure. 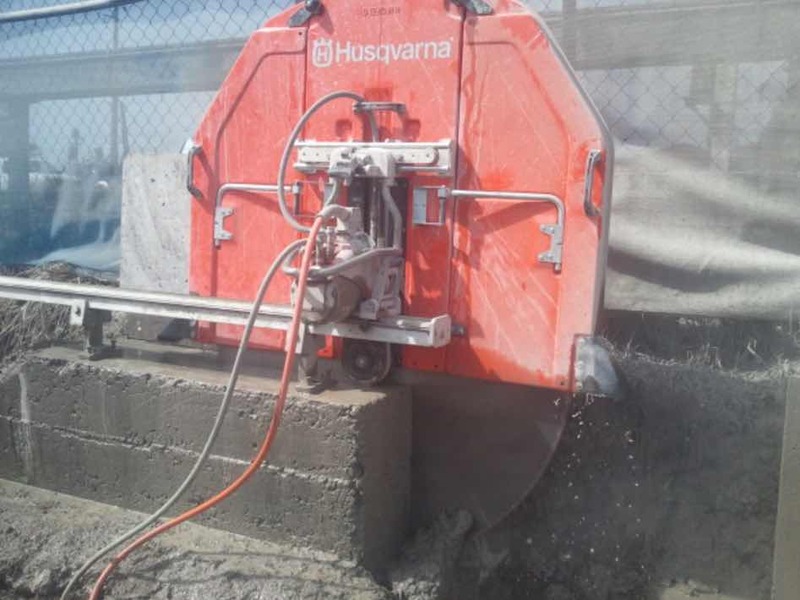 Of course in this line of work, applications of concrete cutting vary from job to job and having professionally trained people and the right equipment ensure the job can be done right first time, every time with the utmost safety.